Materials: oil on canvas. Dimensions: 48.3 x 45.7 cm. 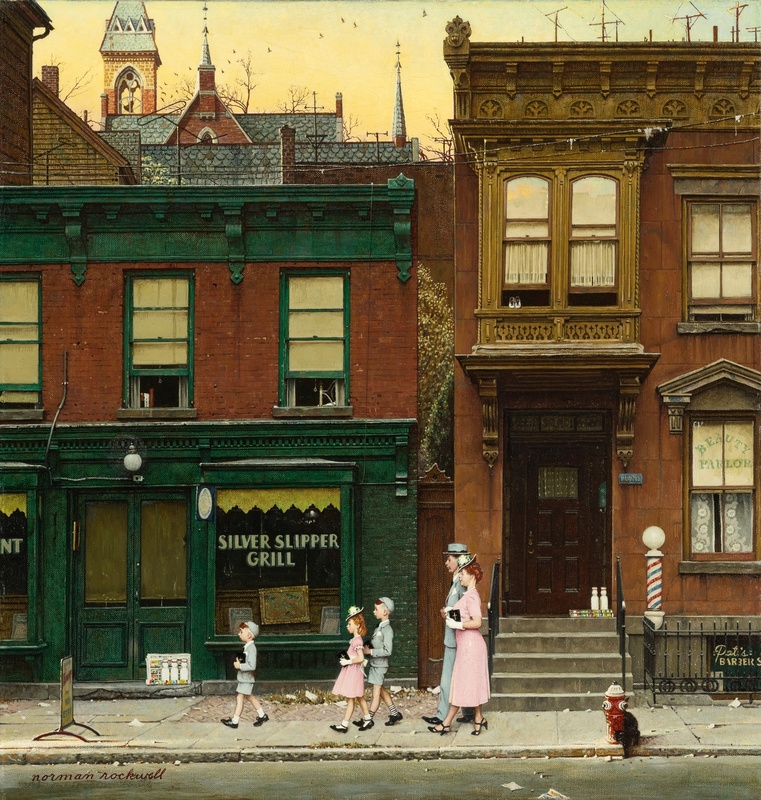 Inscriptions: norman rockwell (lower left). Sold by Sotheby’s in New York, on December 4, 2013. Source: http://www.sothebys.com/content/dam/stb/lots/N09/N09048/194N09048_75SR6.jpg. I have changed the contrast of the original photo.